Julio Voltio (born as Julio Irving Ramos Filomeno[note 1] on June 11, 1977 in Santurce, Puerto Rico) is one of the reggaeton genre's best-known artists. Voltio is now retired. Voltio performing in Managua, Nicaragua on July 31, 2007. His nickname came to be as the result of an accident. Before joining Karel, he worked as an electrician. One day, he stuck his hand in the wrong place and got shocked. Everyone then called him "Bombillo" (Light Bulb) and "Corto Circuito" (Short Circuit), until eventually giving him a nickname that stuck: "Voltio" (Spanish word for volt). Julio Voltio now identifies as a born-again Christian. Julio said in an interview: "Yes, really I accepted Christ as my savior, I really do because sometimes you have a void in the hearts and one therefore needs." Growing up in the Parque Ecuestre section of Carolina, Voltio entered the music business as a teenager. Together with Rey 29 and Héctor Delgado (AKA Hector "El Father"), he formed The Masters of Funk. Although the trio released no listed albums, they were influential in starting the reggaeton movement. Shortly after separating from The Masters of Funk, Voltio partnered with Karel, a neighborhood friend, to form Karel y Voltio. They released their debut album Los Dueños del Estilo in 2003. The album languished, however, and the duo's enthusiasm dwindled. Karel was last featured in La Mision 4. Voltio was signed under Pina Records company. Pina stole money from Voltio and he left that company, then went into a musical battle (Tiraera Pina, Bling Bling, Wasa Wasa) against Lito y Polaco, Pina Records main artists. With few options, Voltio was preparing to exit the music business when Tego Calderón, a leading artist with White Lion Records, convinced him to sign with the label. Having taken Tego's advice, Voltio released the album Voltage AC, with the hits "Bumper", "No Amarres Fuego" (featuring Zion & Lennox) and "Julito Maraña". Voltio also featured on a remix of the song "Locked Up" by Akon, which was released in the UK as part of Locked Up-Global Remixes. 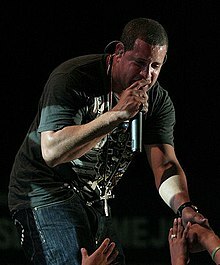 Having experienced relative success, Voltio returned with his a self-titled release in 2005, which included his biggest hit to date "Chulín Culín Chunflai", which features Residente Calle 13 and a remix version with Three 6 Mafia. In 2006, Voltio was on Frankie 2006 remix of his "Puerto Rico". Voltio recently teamed up with Calle 13 to speak out against police brutality in Puerto Rico. On August 11, 2008, announced the publication of a docummentary titled "En vivo desde Oso Blanco". The production covers the time that Voltio spent in prison. Voltio is also included on the Grand Theft Auto IV soundtrack with his song Pónmela from the 2007 release of En lo Claro. He made collaborations with Jowell & Randy (Welcome to my crib). En lo Claro has experienced mild success in contrast to Voltio's first two releases, garnering #36 on the U.S. Billboard Top Latin Albums chart. The album also peaked at #24 on the Billboard Top Heatseekers chart. In 2014, Voltio left reggaeton and converted to Christianity. 2009: "Esto Es A Palo"
^ This name uses Spanish naming customs: the first or paternal family name is Ramos and the second or maternal family name is Filomeno. ^ a b "Julio Voltio admite que se convirtió al cristianismo". Primera Hora. Retrieved 14 December 2015. ^ a b "Local religion digest: Douglassville couple among 10 to lead diocesan wedding anniversary celebration". Reading Eagle. Retrieved 14 December 2015. ^ "Julio Voltio and Residente (Calle 13) Denounce Police brutality with Two New Songs". Retrieved 14 December 2015. ^ "Voltio lanza documental sobre su experiencia en prisión" (in Spanish). Primera Hora. 2008-08-11. Archived from the original on December 22, 2015. Retrieved 2008-08-11.